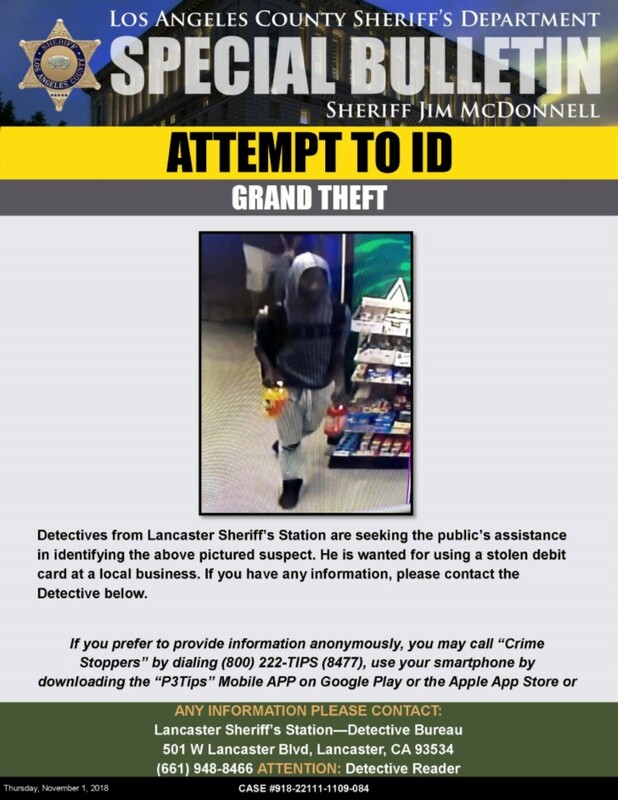 LANCASTER – The Lancaster Sheriff’s Station is seeking your help in identifying and locating the following suspect. If you recognize him and know where he might be located, contact detectives using the information beneath the suspect’s photo or by calling 1-800-222-TIPS. If you recognize the person in this image, then Lancaster Sheriff’s Station detectives would like to hear from you. The suspect is wanted for grand theft. He is accused of using a stolen debit card at a local business. 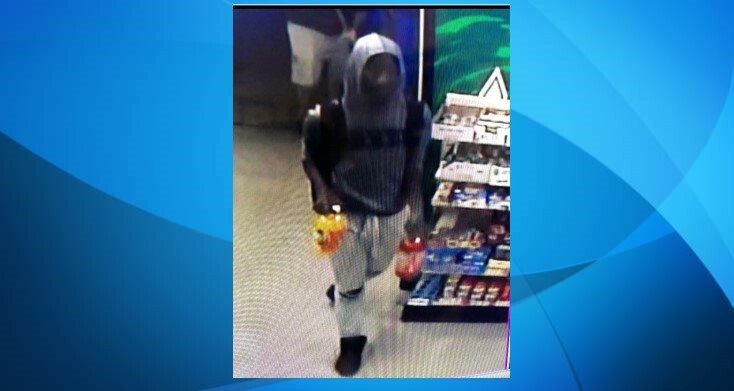 Anyone with information on the identity or location of this suspect is encouraged to contact the station’s detective bureau at 661-948-8466. To remain anonymous , call Crime Stoppers at 800-222-TIPS. 6 comments for "Lancaster Station’s Most Wanted"
He’s using a stolen debit card to buy soda. How outrageous and dangerous! Not like those white guys. Shooting innocent people schools, churches, movie theaters, bars, concerts, etc. But put out an APB we got a soda thief! That’s just an excuse he’s just buying a soda. It’s still a stolen credit card which is against the law. Why make everything about race, white guys?? No matter what race anyone is they and only themselves are responsible for their actions in life. No more excuses on bad behavior and breaking the law at any degree. Oh because he’s black and can get away with a petty crime ! The law is set for a reason no matter what it is whatever race , etc… wow a white man may cause a shooting, but so do blacks everyday … just because the media doesn’t make it a big deal … come on … really??? I have seen it here especially in the A V .. just as bad if not worse ….